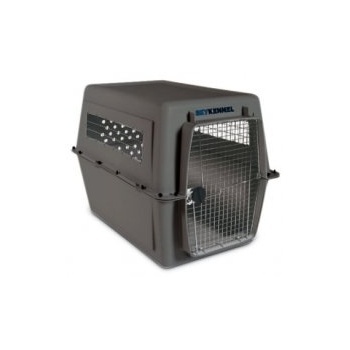 Home - Home and Travel - Crates & Kennels - Plastic Dog Crates - Pet Mate - Pet Mate GIANT Petmate Vari Kennel (Grey) 48"
GIANT Petmate Vari Kennel (Cream not Grey) 48"
The original plastic crate, the Petmate Vari Kennel meets all IATA airline requirements for worldwide pet travel and has a five year manufacturers warranty. Use this hardwearing plastic crate for transporting your dogs, cats and other pets abroad or travel in the car. Can also be used as a home crate - it is a true den experience. We believe the airline approved Petmate Sky Kennel to be one of the safest kennels for animal transport money can buy. They are recommended by experts all over the world. The Petmate Vari kennel safety features include unrivaled strong plastic shells, sturdy wire mesh door with a strong door & locking mechanism. These Petmate kennels are now supplied in the CREAM LINEN colour only. 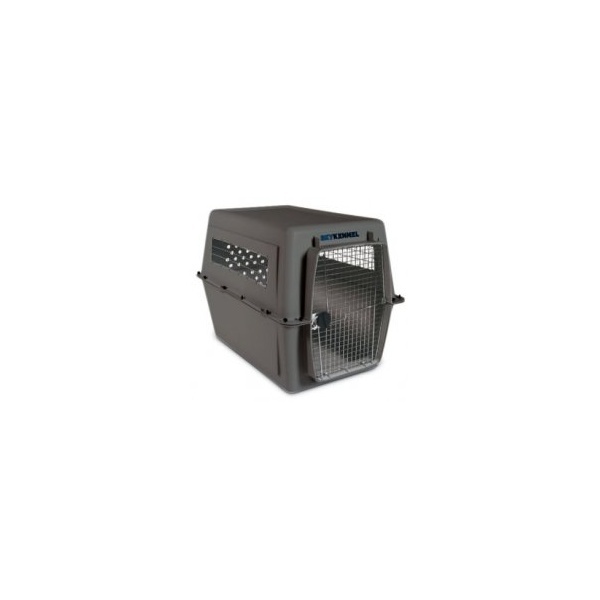 Email a Friend about Pet Mate GIANT Petmate Vari Kennel (Grey) 48"
Ask a question about Pet Mate GIANT Petmate Vari Kennel (Grey) 48"
Bookmark Pet Mate GIANT Petmate Vari Kennel (Grey) 48"